Treasure Island's faithful may not have a prayer. 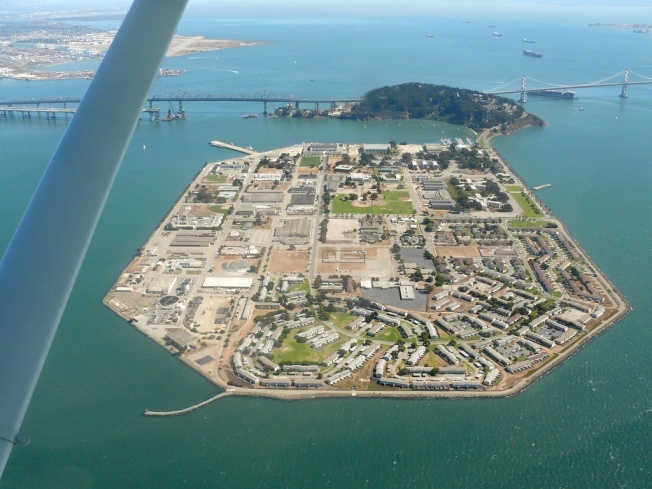 Not a single religious structure has been incorporated into the island's redevelopment plan, much to the objection of Mark Connors, president of the Good Neighbors of Treasure Island and Yerba Buena Island. Connors is saddened by the loss of the Treasure Island chapel, a 60-year-old structure in which he was married. The chapel seats 250, and Connors hopes to collect twice that number of signatures on a petition to protect it. The building would probably have to be moved, since its current location places it in the middle of a mixed-use commercial district. There are no other formal places of worship on the island. The city's plan for the island is ambitious, calling for the development of stores, housing and entertainment facilities to accommodate a population of 18,000 people on the artificial island. Most of the public objections to the plan deal with earthquake stability and transit access, rather than religious accommodations. "No churches? Sign me up! That's a place where I want to live!" wrote one observer. The lack of churches can probably be attributed more to disinterest than hostility toward religion. Although the current plan doesn't include any churches, there are no rules against someone building one, as long as they secure the proper permits. But will secular San Franciscans have any interest in building magical structures from which to telepathically communicate with a giant invisible spaceman? That remains to be seen. Matt Baume wonders if a pasta restaurant would qualify as a religious structure.